BurrenVets is a small and large animal veterinary practice with 6 experienced veterinary surgeons in Co. Clare. 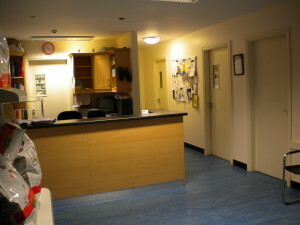 We are located at 2 clinics, one in Ennistymon and the other at Spanish Point. Our practice has been in existence for over 60 years and used to be called Ironside and McDonogh after 2 previous partners. Because of it’s long existence we have evolved throughout the years into a well-rounded practice that serves both companion animal and large animal owners throughout North and West Clare. The majority of our clients have been with us for many generations. We of course welcome new clients and hope that they too will enjoy our services for years to come as we look after their animals. Drop in and say hello or call us at either of our clinics and we will be delighted to help you or offer advice regarding your animals – day or night.